Dimensions 0.75 by 6 by 9 in. Amazon.com description: Product Description: The netted human we may call Homo Irretitus resides in a space made possible by technologies frequently referred to as new media, social media, emerging media, and Web 2.0. Traditional conceptualizations of audiences and producers are shifting so the very making of our social practices, spaces, and contexts in this brave new world of the World Wide Web, the work of Homo Irretitus in this intersectional space, must be interrogated. If we are to understand this space, we should approach it from varied vantage points. 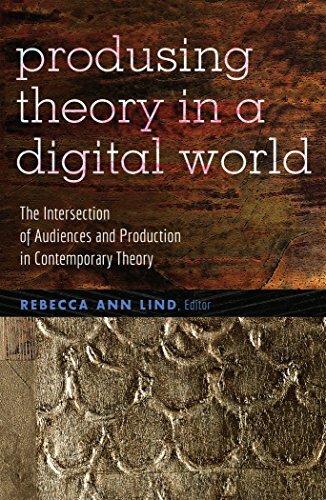 This book gathers scholars from both within and external to the core of new media studies, each of whom applies a unique theoretical perspective to the intersection of audience and production in the space enabled by emerging communications technologies. In doing so they help shed light on a variety of the tensions evident in the new digital spaces in which we create and recreate (and often produse) so much of our lives, our identities, and our selves. Focusing multiple spotlights on the intersection of audiences and production made possible by social software helps make clearer a more nuanced perspective than would otherwise be possible as well as opening up questions for further debate within the field. About: The netted human we may call Homo Irretitus resides in a space made possible by technologies frequently referred to as new media, social media, emerging media, and Web 2.